Threshold limit for registration - The dealer is required to take registration under this law if his aggregate turnover in a financial year exceeds Rs.9 lakhs. However, dealers conducting business in any North Eastern State are required to take registration if their turnover exceeds Rs.4 lakhs. Place of registration- The dealer has to take registration in the State from where taxable goods or services are supplied. Migration of existing taxpayers to GST - Every person already registered under extant law will be issued a certificate of registration on a provisional basis. This certificate shall be valid for period of 6 months. Such person will have to furnish the requisite information within 6 months and on furnishing of such information, final registration certificate shall be granted by the Central/State Government. GST compliance rating score - Every taxable person shall be assigned a GST compliance rating score based on his record of compliance with the provisions of this Act. The GST compliance rating score shall be updated at periodic intervals and intimated to the taxable person and also placed in the public domain. Levy of Tax - The person registered under this law is liable to pay tax if his aggregate turnover in a financial year exceeds Rs 10 lakhs. However, a dealer conducting business in any of the North Eastern is required to pay tax if his aggregate turnover exceeds Rs. 5 lakhs. Taxable Event - The taxable event under GST regime will be supply of goods or services. Supply includes all forms of supply of goods and/or services such as sale, transfer, barter, exchange, license, rental, lease or disposal made or agreed to be made for a consideration. It also includes importation of service, whether or not for a consideration. TCS on online sales of goods or service - Every E-commerce operator engaged in facilitating the supply of any goods and/or services (like Amazon, Flipkart, etc.) shall collect tax at source at the time of credit or at the time of payment whichever is earlier. 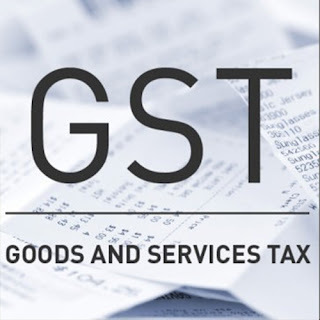 Utilization of IGST: The amount of input tax credit on account of IGST available in the electronic credit ledger of dealer shall first be utilized towards payment of IGST and the amount remaining, if any, may be utilized towards the payment of CGST and SGST, in that order. Utilization of SGST: The amount of input tax credit on account of SGST available in the electronic credit ledger shall first be utilized towards payment of SGST and the amount remaining, if any, may be utilized towards the payment of IGST. Utilization of CGST: The amount of input tax credit on account of CGST available in the electronic credit ledger shall first be utilized towards payment of CGST and the amount remaining, if any, may be utilized towards the payment of IGST. Payment - Any tax, interest, penalty, fee, etc., shall be paid via internet banking or by using credit/debit cards or NEFT or RTGS. This amount shall be credited to the electronic cash ledger of dealer. TDS - The Central or a State Government may mandate certain departments (viz, local authority, Govt. agencies) to deduct tax at the rate of one percent on notified goods or services, where the total value of such supply, under a contract, exceeds Rs 10 lakhs. Refund - A person can claim refund of any tax and interest by making an application in that regard to the prescribed officer of IGST/CGST/SGST. The application can be made before the expiry of two years from the relevant date as may be prescribed. It has been provided that the limitation of two years shall not apply where such tax or interest or the amount has been paid under protest. c) TDS Return: Every dealer who is required to deduct tax at source shall furnish a return electronically within 10 days after the end of month in which deduction is made.